Discussion in 'Console Technology' started by Cyan, Jan 19, 2018. A big company like Sony wont have a surplus stock of anything, they'll be running a lean manufacturing/ordering system like every other manufacturer. The spec' of the SoC looks acceptable. It's a slow chip by todays standards, but should be more than powerful enough to run PS1 software with the right emulator. I suspect something else has gone on behind the scenes. Why anyone would buy this is beyond me, other then for the PSX looks? You get a superior experience emulating the psx yourself with many more options, you can use your own whole library too. Or simply by using a PS2 which plays both psx and ps2 games. Two classics in one. Not only that but a decent looking PS2 slim is incredibly small and cute looking! I'm on the fence with this...my heart says buy but my head says hold off for a sale. I guess if it starts drying up I'll have to buy. Sony could have added this as a service to PS4 plus or something, PS4 is very capable of emulating psx games and then some. Have psx titles in the store. Shoujoboy and BRiT like this. They should add it for free. There is zero additional cost for every player playing a PS1 game, and it has never hindered current generation game sales either. Shoujoboy, Cyan and vipa899 like this. As happened with the replicas of NES and SNES, PlayStation Classic has been the object of desire of the most curious users since its arrival in stores on December 6. After only three days on sale the small console has already been opened in channel and its software assaulted, allowing loading games not included in the original alignment. Yifan Lu, one of the leading members of the PlayStation Vita scene, has shown through several Twitch transmissions how he manages to hack Playstation Classic and play Crash Bandicoot, a game that is not among the pre-installed ones. However, it seems that he was not the first to access the replica. A little before, the Japanese bakueikozo had already managed to load the PlayStation Classic image of a game from a USB device. The latter is a manual process, but the author bets that it should be possible to install the game. Everything seems to indicate that Sony has not put special effort to protect PlayStation Classic. According to Yifan Lu, the madmonkey hacker discovered that the files to update the system software of the console were signed with a key included by mistake in the same device. That is to say, the person responsible for the encryption of PlayStation Classic mixed the public and private keys, sharing the latter with everyone. 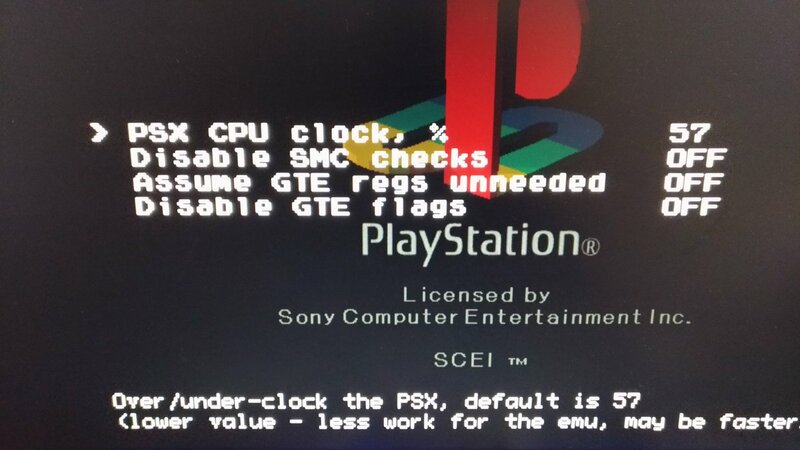 For now we are only before proof of concept and there is not enough information or software that allows the end user to assault his PlayStation Classic. However, it is only a matter of time before tools are released to hack the replica and add more games in the same way that has been done with NES and SNES Mini thanks to Hakchi2. In addition to loading games, the nvsofts hacker has managed to run a version of Doom for PC in PlayStation Classic using the Wayland graphics protocol. Shoujoboy and OCASM like this. uhm... It's the 9th already? Shoujoboy and Cyan like this. Everything seems to indicate that Sony has not put special effort to protect PlayStation Classic. Shoujoboy, DSoup and Cyan like this. yeah, in fact I think the usb keyboard and ESC trick is just the default behaviour of the emulator on computers and they forgot to remove or change that code so it works with keyboards, but not with all of them, for whatever reason. Shoujoboy, OCASM and Cyan like this. Legend of a game. I am one of those who played the game back then. Played a bit, but most of the time I was watching my best childhood friend playing his PS1 version. I loved watching how he played the game in front of the TV. I had a good PC for the time, and thought that consoles weren't as good as a PC, but this was one of the games that impressed me on a console -along with Gran Turismo and a few others-. 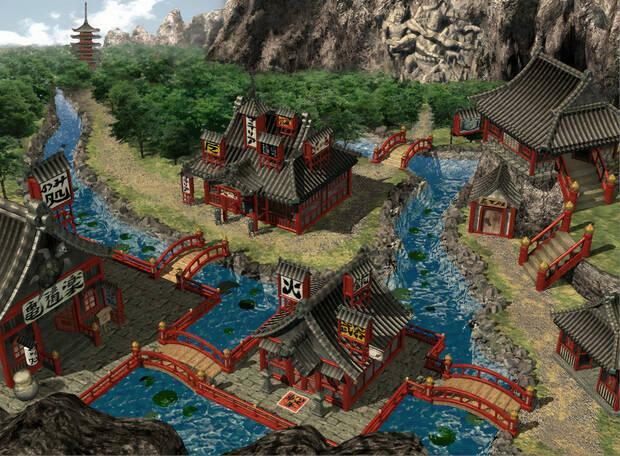 In fact, curiously enough, seeing DF Retro footage the memories of the places in the game are very vivid. 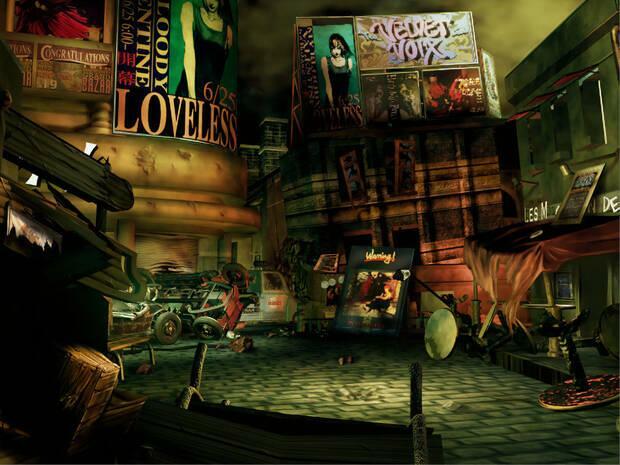 The game was impressive and fun enough that I remember the places shown in the DF Retro video, without ever having owned the game -I still have the CD version of the original Resident Evil for PC, though-. Still remember the final boss of RE2, and his name somewhat -Wiskers or something like that-. I recall his transformations, the entire battle, how he got on top of some containers, etc. Shoujoboy, Nesh and OCASM like this. Nesh and Cyan like this. Ah yes everything blended so well. Music, sound, graphics, art, every segment in the game was memorable . I wish we had more games that had such a similar impact these days. new DF Retro article, dedicated to Doom, because it is the 25th anniversary of the series. vipa899, Silent_Buddha and OCASM like this. DF Retro found out that the original Gamecube has been built with lossless digital signal from the very beginning, something that many people didn't know. Well, 99,99% of the people. It was my 2nd console ever and I remember it for being small, had cute graphics and the insane difficulty of one of my favourite games, F-Zero series. OCASM and vipa899 like this. John published the list of his favourite games this year 2018. Now that DF talks about videogames for once... The games that made to the top are quite surprising, to say the least, I expected what everyone should expect, but no. His list tells me more than than the umpteenth lists that repeats the same line. He also mentions a retro game before the number 1 game on the list. on a different note, I am currently playing the wonderful HooM2. turkey and OCASM like this. talking of games with prerendered backgrounds.... 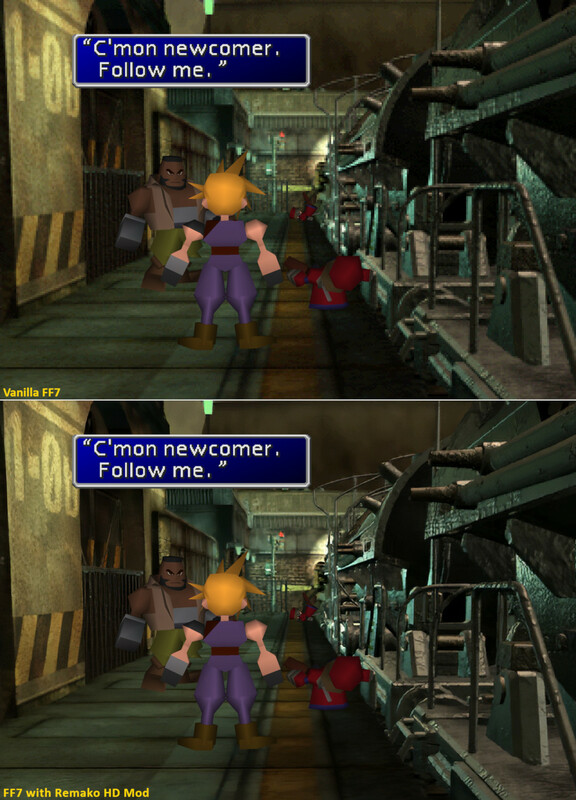 Fans are using artificial intelligence to run Final Fantasy VII backgrounds in true HD. Using machine learning for upscaling photographs and movies isn’t a brand new idea, after all. There is a fantastic demo of how properly the brand new Nvidia GeForce RTX 2080 Ti graphics cards can deal with such duties – however this is the first time utilized like this to preserving and enhancing traditional older games. It’s often used for issues like rescuing previous household images. In games such upgrades are often hardware-powered upscales as with the excellent Xbox One X version of Final Fantasy 13 or painstaking hand-made rebuilds of renders or textures, like in the glorious Resident Evil 4 HD Project. 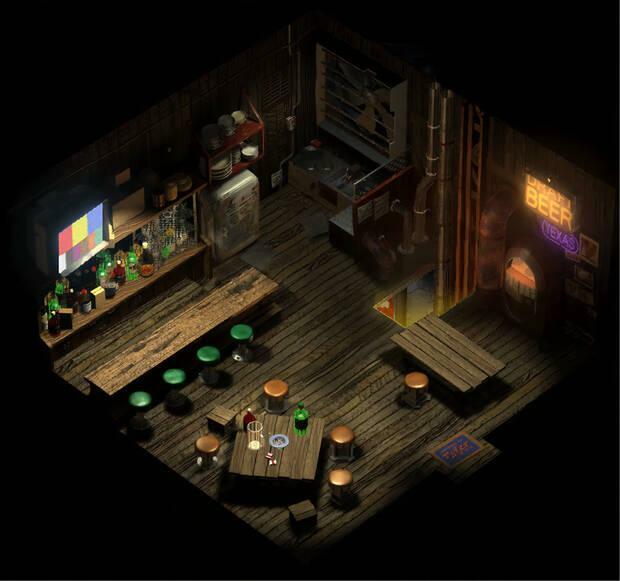 (...) tackling an upscale HD remaster for a game with lots of of pre-rendered backgrounds. “Traditional upscaling leaves a lot to be desired and manual remodelling takes a lot of time,” mod creator CaptRobau says in the discussion board thread http://forums.qhimm.com/index.php?topic=18549.msg260839#msg260839 . AlBran, OCASM and Nesh like this. Retro Rich xDDDDDDDDDDD. Prince of Persia was a very good game -though I played a different, coloured version. Wii's rendition (2009) was spectacuar. Nice that they use a video from @swaaye to show Quake. They show my favourite stage from Return to Castle Wolfenstein which is, btw, much better than the original. (Bought that computer 'cos I was involved in a car crash, unluckily so, and lost my spleen, and my parents let me use part of the compensation to buy anything I wanted. I didn't want a console, but a PC). What was your first PC? Yeah pc gaming wasnt cheap then, it was on another level allready then. Multiplat games on the geforce 2mx pc did better then their ps2 versions, half life decay coop was fun on ps2, so was ssx and ghost recon/first red faction. Otherwise pc here, my first was a p133mhz, 32mb and a voodoo 2, lasted all the way to 2000/2001 i believe it was.